ogy of authentication and veriﬁcation, achieves its signifying status only by being situated within relations of power and disciplinary techniques predicated on individuating, identifying, classifying and distributing the templates of biometrically enrolled subjects across complex political, social and legal networks. As such, biometrics is a technology ﬁrmly enmeshed within relations of biopower. The emergence of the biopolitical state, Michel Foucault (2008, 34) underscores, is marked by the installing of the veridictional question, “the question of truth,” at the core of its criminological operations. The question: “What have you done?” is now replaced with the question: “Who are you?” (Foucault 2008, 34). 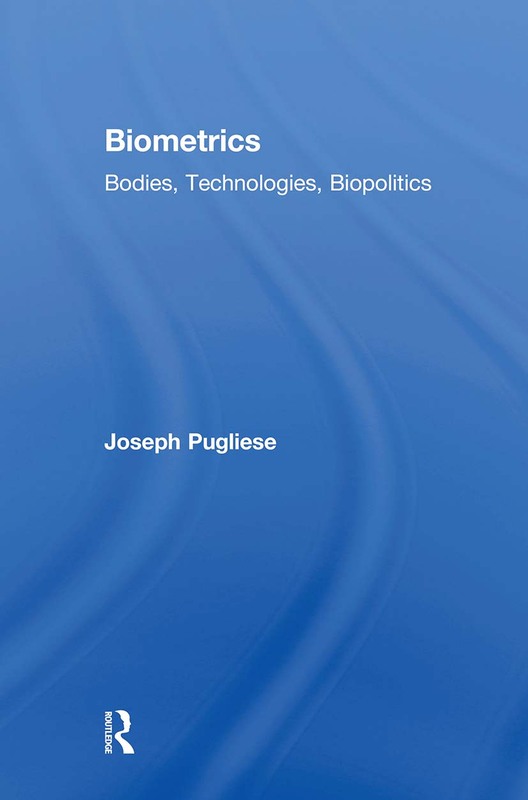 The foundational question of biometric technologies is precisely “Who are you?” The key premise of this book is that this biometric question is repeatedly made coextensive, in the biopolitical operations of biometric technologies, with what you are. As I discuss in some detail in the chapters that follow, the answer to the question “Who are you?” pivots on the speciﬁcity of a subject’s embodiment and her or his geopolitical status. concerns of this book and to clarify the key terms that constitute its critical apparatus of inquiry.